Pacific Shaving Company is offering Deadspin readers 25% off all orders of $15 or more, including their unique caffeinated shaving cream and aftershave. Get both for just $13.50 using promo code DS2515. 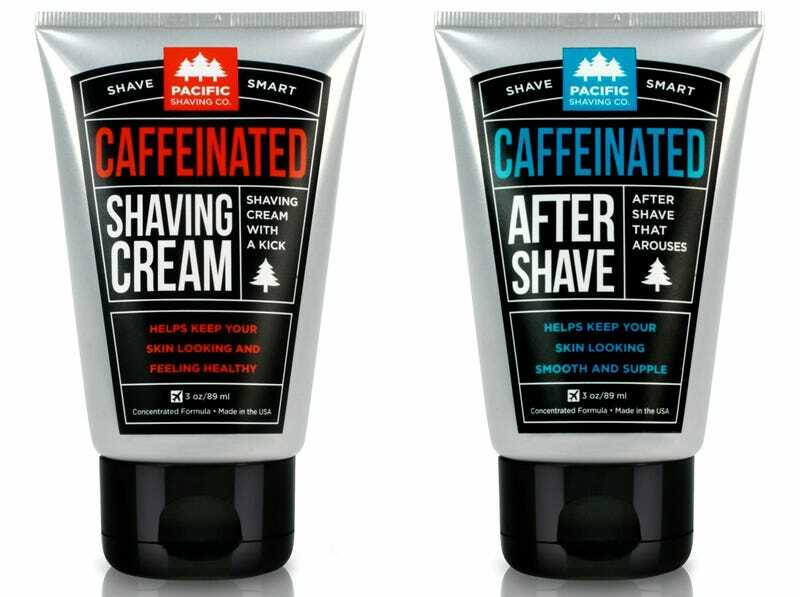 The caffeinated shaving cream and aftershave, like all Pacific Shaving products, are natural and eco-friendly but it's the addition of caffeine that sets them apart. Caffeine can be absorbed through your skin, adding a little kick to your shave, but the real treat is that it's a powerful antioxidant and vasoconstrictor, helping to reduce redness and swelling. This is the natural way to say goodbye to razor burn and hello to a fresher face. Additionally, Pacific Shaving offers a pre-shave exfoliating wash, daily moisturizer, women's bamboo exfoliating scrub, blade oil to fight blade corrosion, and shaving oil. They even offer a nick stick, a glide on vitamin-E and aloe stick for any minor cuts during shaving. Treat your skin right and get an energy boost when you shave, and while you're at it, save 25% using promo code DS2515.